Whether you are 13 or 33, dealing with acne can take its toll on your skin, confidence and pocketbook. The good news is that you aren’t alone. According to the American Academy of Dermatology, acne is the most common skin condition in the United States, affecting approximately 40 to 50 million Americans every year. 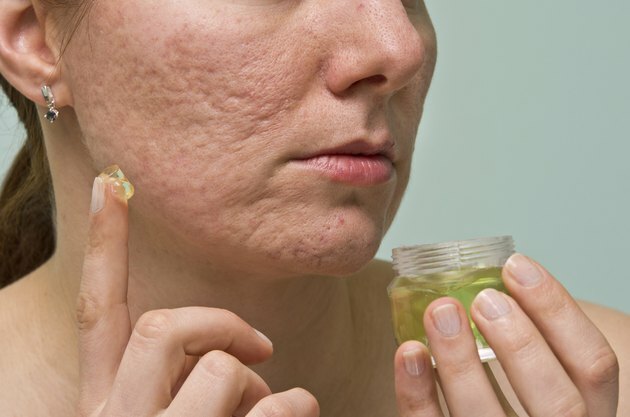 The bad news is that even if you’ve finally gotten your skin under control, you’ll likely still be dealing with the aftermath of acne including scarring, hyperpigmentation and uneven texture. Here are the best at-home ways to battle those lovely little reminders of your past breakouts. Finally getting rid of a blemish can feel like cause to celebrate! Until you notice your pimple has left a little something behind: a dreaded spot. There are three common types of post-acne pigment problems: post-inflammatory erythema (PIE) which show up as a red or purple marks, post-inflammatory hyperpigmentation (PIH) which are brown or black, and post-inflammatory hypopigmentation which show up as white marks. The good news that all three of these pigment changes will lighten over time and go away. “Post-inflammatory hyperpigmentation results when the inflammation of acne causes this pigment drop into the upper layers of the skin, leaving a brown spot that may take weeks or even months to resolve on its own,” explains Dr. Annie Chiu, founder and board-certified cosmetic and general dermatologist at The Derm Institute in Redondo Beach, Calif. “Over-the-counter products that contain hydroquinone, kojic acid, vitamin c or alpha hydroxy acids can all help reduce this discoloration.” For reddish post-inflammatory erythema, you can speed up the fading with products containing calming ingredients like chamomile, says Chiu. Need a fast fix? “You can also try a little drop of Visine as an at-home DIY remedy, as it can constrict blood vessels to reduce redness temporarily before an event,” suggests Chiu. Most important of all, says Chiu -- sunscreen. Sun exposure can worsen the look of any hyperpigmentation. Even if you aren’t suffering from true scars, you may be left with bumpy, uneven texture from your breakouts. 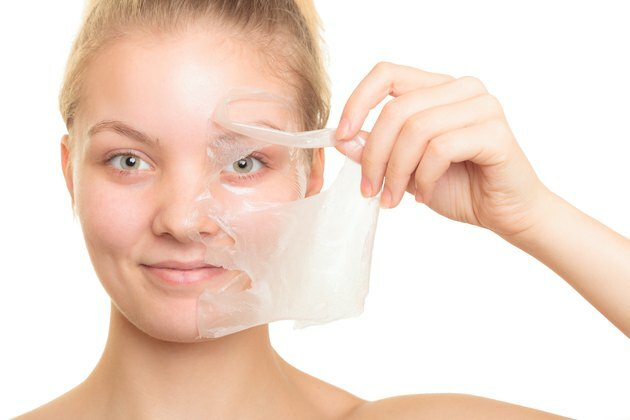 Dermatologist can offer a series of microdermabrasion and stronger chemicals peels to smooth the skin, but there are many at-home options as well. Chiu recommends using products containing lactic acid, glycolic acid, mandelic acid or salicylic acid which all work to promote the turnover of the top layers of the skin, which can smooth uneven texture and discoloration left from acne. Also consider adding in an over-the-counter retinol product. “Retinols promote new collagen production and improve exfoliation to give the skin a smoother texture,” says Chiu. “Retinoids are also great because they do the double-duty of decreasing active acne lesions as well!” We call that an acne-fighting twofer. You’ve heard that the best defense is a great offense? Eliminate the need to deal with acne scarring by preventing it in the first place. There are three major causes of scarring, according to the American Academy of Dermatology: picking and popping zits, cystic acne or nodules, and genetics. Here’s what you can do. “Treating the pimple as quickly as possible is the most effective way of preventing discoloration left from acne,” suggestions Chiu. Also, as you’ve heard a million times, hands off! Avoid traumatizing the blemish through picking or popping. And sunscreen is a must… Every. Single. Day. Here are Chiu’s other tips for banishing your breakouts: DO use anti-acne medications on the entire face, not just as a spot treatment. You want to prevent new acne breakouts instead of chasing new pimples. This will lead to decreased discoloration and scarring. DON’T over-dry the skin in an effort to decrease breakouts as this can lead to irritation that causes even more discoloration. DON’T over-exfoliate the skin with products that have beads or scrubs, as even this mild trauma can worsen discoloration. DO consider consulting with a dermatologist for more prominent scarring, as there are numerous in office treatments such as lasers and even dermal fillers that can treat deeper scarring.